There’s nothing like a hot iron to fire up your enthusiasm. Each year, I try to take at least one class at my local university. I admit to purposely failing the oenology class several times just to retake it. Last fall semester, I decided to do something different and take the Introduction to Amateur Radio class taught by Eric Nichols, KL7AJ. Amateur Radio always interested me, but I never found a way to learn about it. This class presented the perfect opportunity. By trade I am a lawyer with little electronics experience and a low aptitude for math, so I was worried about my ability to comprehend the world of Amateur Radio. Thankfully, Eric was a great instructor and was able to get the basic concepts through even my thick skull. The one element of the class that probably hooked me on Amateur Radio, and from which I learned the most, was the class project. As the class progressed, my fellow students decided on various projects, but I was having a hard time coming up with something that I found interesting and was within my limited skill set. I built the ubiquitous crystal radio kit in the Boy Scouts and wanted to do something different. Over the first few weeks, Eric kept bringing up an article in the October 2010 issue of QST written by John Pivnichny, N2DCH: “A Signal Generator for the VHF Operator. 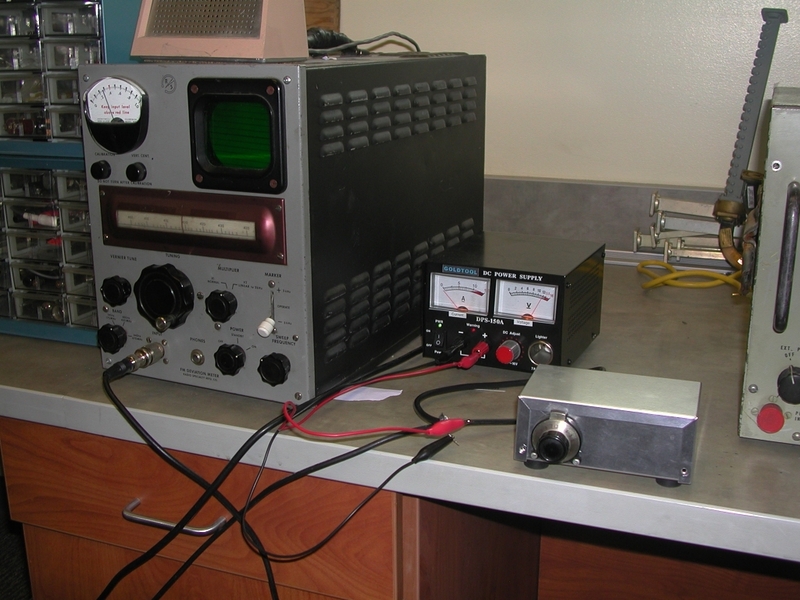 "1 Finally, not having found another project and feeling up for a challenge on that particular day, I decided to try to build John’s signal generator. 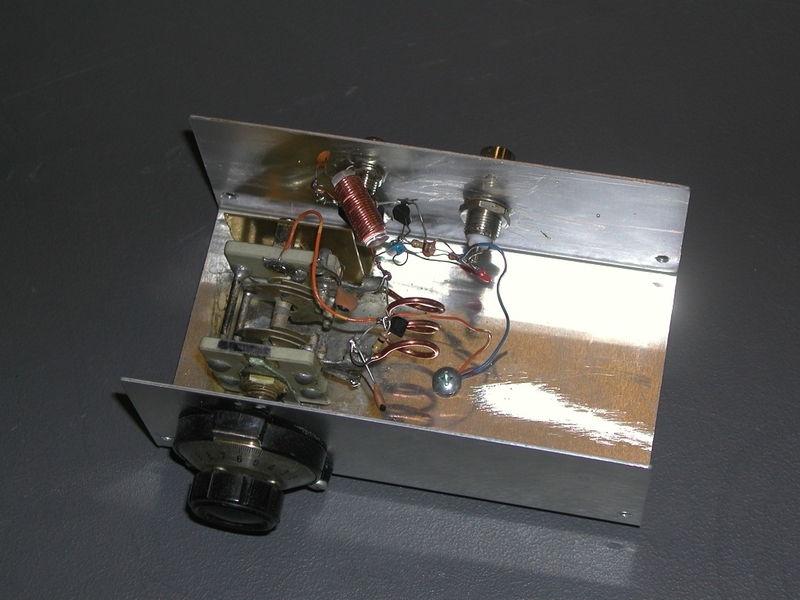 The process of putting together John’s signal generator fostered my budding fascination with radio and electronics. My first task was to gather all the parts, which is not an easy task in Fairbanks, Alaska. I started with Internet searches, trying to find the precise parts called for in John’s schematics. For example, I really wanted to find the temperature compensating NPO capacitors so that my final product would have more stability and be true to John’s design. After multiple online purchases, a trip to the local Radio Shack and a trip to an electronics part store in Anchorage (over 350 miles from home! ), I had everything I needed except the heart of the project: the 5-15 pF dual-gang air variable capacitor. I felt like I reached the end of the Internet looking for an air variable capacitor with the proper specifications but no luck. Then I had that light-bulb moment. I re-read John’s article and finally saw the author’s note at the end, where John mentioned he had several more air variable capacitors he was willing to sell. So I sent John an e-mail and a couple of weeks and few dollars later I had a shiny old capacitor in my hands. Eric donated a vernier dial to the cause and I finally had everything I needed to get started. I spent some time trying to visualize how everything would go together. I gathered all my parts and tried breadboarding the project in the electronics lab over a weekend. It did not work and I was mildly frustrated. Taking my failure as a teaching opportunity, Eric suggested I try soldering everything together in the box since, he then told me, VHF oscillators built on breadboards rarely worked. He warned me to keep my leads short. My soldering skills were minimal, so I practiced with my new used soldering iron on a few spare parts before attempting the real project. I finally felt ready to give it a try. Several hours later, an assembled signal generator appeared. All the connections were made (the solder joints didn’t look half bad! ), everything fit in the box and the dial turned the capacitor. Next I had to test the signal generator. I brought everything to class the following day where we had a frequency counter and a reliable power supply. I hooked up the power supple to the generator and the antenna output to the frequency counter. To my surprise, it worked! The frequency counter showed a signal in the 200 MHz range and it actually changed when I turned the dial. We decided to test stability so we left the signal generator running during the 3 hour class. At the end of the class, we noticed that there was some frequency drift and that the box would go off frequency if bumped or jostled. Further investigation revealed that one of my solder connections was not as good as it looked. We also experimented with the effect of the box cover on the frequency of the signal. I brought my project home, resoldered the connection and tested it again the following week. It worked flawlessly. At the end of the semester, I was very pleased that I took the class and learned so much. I was particularly satisfied with my experience building the signal generator. I had fun acquiring the parts, assembling them and having it work in the end. Anyone, even a guy to whom science and math are not second nature, can enjoy Amateur Radio. Photos by Matt Cooper, KL3OC. 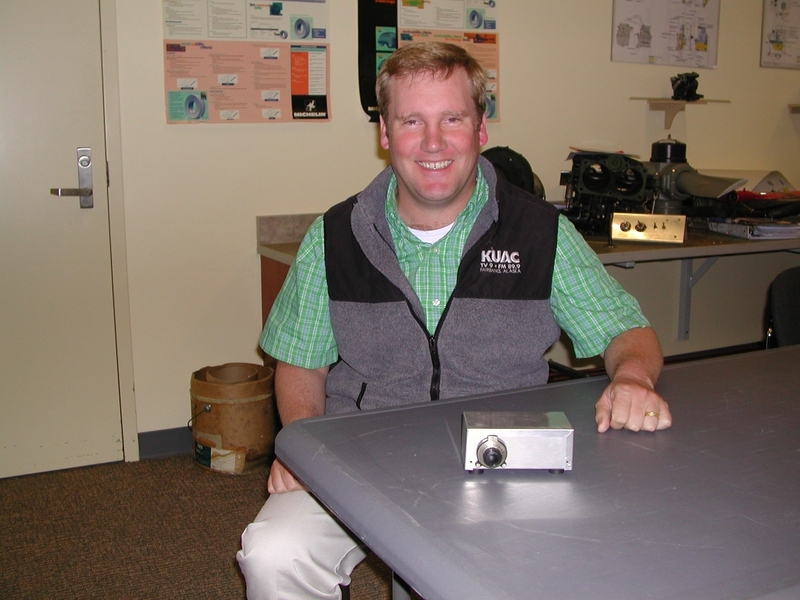 Matt Cooper, KL3OC, an ARRL member, received his Technician license in November 2010 and his General license in May 2011 as KL3ER. He can be found on the Alaska repeaters and is working on putting together his ham shack while studying for the Amateur Extra class license. Matt can be reached at 995 Willow Grouse Rd, Fairbanks, AK 99712, cooper@arcticprimate.com.